unwanted husband that keeps saving her life and threatening to steal her heart. home to marry the richest girl in the New Mexico Territory. A shotgun in his back had him married to a green-eyed girl who wanted his ranch! 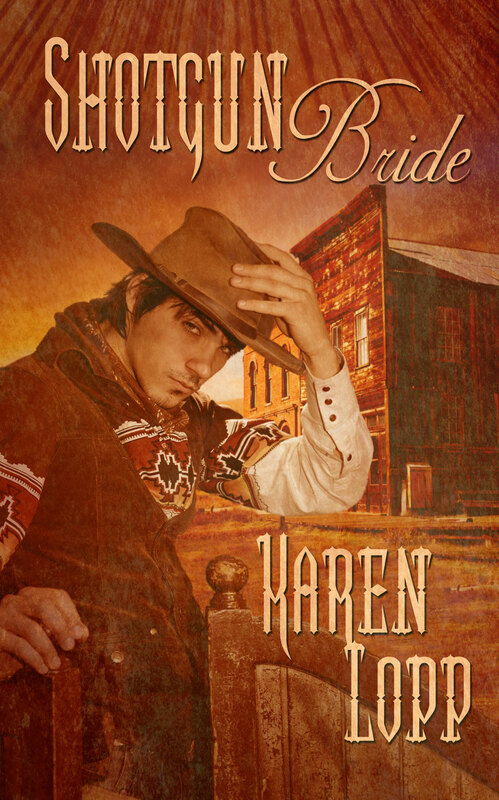 wild badlands to try and save his wife – and convince her to stay. Thank you Kayelle for hosting my book. Love the cover, Karen. I tweeted. Thank you, Ella. Always appreciate the support. Blurb sounds great and cover is fantastic. Tweeted. Glad you like it, Daryl, thanks. Karen, this story sounds so fun! Congratulations! It's the eye that buys, and my peepers definitely love the cover of this book! Congratulations! This sounds like my kind of story. Love the blurb.